1. Search Network: It’s a method of placing online advertisements on web pages that shows in the Search Engine results. It places text ads in the search engine results. 2. Display Network: In this network instead of text ads, display ads are placed on a huge network across the internet. 3. Video Network: This let you show the video ads on their own or on any other streaming video content like YouTube. This video appears before, during and after the YouTube videos and you can skip those ads if you are not interested. 4. Shopping Network: Shopping network is one of the great way to promote your products. These are the ads that include product information like product image, price, merchant name etc. 1. Site link Extension: These are the additional links that you can add to your Search Ads. These permit searchers to visualize all of your varied offerings up front therefore their click is additional relevant to their wants. 2. Location Extension: You can add your business location in this extension. You will need to connect Google My Business account to AdWords to setup location extension. 3. Affiliate Extension: It is useful for the business or brands who sell the products worldwide. This is the best way for the potential customers to buy their products. Unlike location extensions, they do not need a Google My business account. 4. Price Extension: In the price extension, the price of a particular product is added directly in the ads. 5. Callout Extension: This is similar to site link extension. Here you can add additional points about your business. 6. Snippet Extension: In Snippet extension, they provide 3 further header lines of text to focus on key aspects of the business. Keep the headers short and sweet so that it is easy to understand. 7. Promotion Extension: Promotion Extensions promote deals, coupons, and sales offerings and are generally paired with the price tag icons. This helps your ad take up a lot of assets and extremely stand out higher than your competitors on Google Search. 8. Message Extension: This extension gives a button on mobile devices and its convenient to your potential customers to contact you via text message. It can be added automatically for the mobile users. 9. Call Extension: Call Extensions permit you to add your phone number on your ads and that shows in the Search engine results. It is convenient to the mobile users. They can directly click on the phone number and contact for the enquiry. 10. App Extension: Next to your search add, you can add a mobile app download button in the app extension. Here you can also add name, thumbnail icon and call to action button under the text ads. • Negative Keyword: Negative keyword is a type of keyword that allows you to exclude search terms from your campaigns and assist you targets solely the keywords that refer your customers. If you use many negative keywords, your ads might reach to less number of customers. • Landing page: Landing page is nothing but the entrance page. When the user clicks it will take you to the entrance page and ads must be optimized with Google ads policy. • Keywords quality score: Keywords are words or ideas that outline what your content is about. These are the words that visitors enter in the search engine. The quality score of the keyword can be upto 0 to 10. Minimum quality score of the keyword is 5. • Phrase Match: You can set a Phrase match by placing it in between the quotes. You will need to enter exact keywords in the exact order but there might be any other words either before or after that phrase. • Exact Match: It provides the lowest reach with highest relevance. Visitors can only see your ads when they type your exact keyword phrase by itself. • Broad Match: Broad match keywords are the keywords that will match to search terms with misspellings, related searches, synonyms etc. It will give you the widest reach but is least relevant. How to increase Ads position in Google search? • Good Quality Score and the Ad Rank Formula: You will need to maintain the good keyword quality score and ad ranking. Delete or pause the keywords with low quality score and replace the same keyword with higher quality score. • Search terms must be used as keywords: Search terms could be used as effective keywords. One of the advantages of using relevant keyword from search term is that Google rewards advertiser with high quality score compared to that of your regular keywords. • Work on the Ad relevancy: This is one of the important characters taken into consideration by Google to calculate the quality score of the keyword. If the relevancy of your ads are above-average, it will increase your overall quality score and thus helps in improving your ad rank positioning. • Always make use of Keyword Tool: Here you can find different variations of some of your keywords. Here you might find new keyword options with high quality score than that of your current campaign’s keywords. So, this is very useful. • Keep improving and updating your website: Improve your quality score by making your website more user-friendly and easy to use. Making your website SEO-friendly will also improve your Google AdWords campaigns and this will reduce the bounce rate. • Always mention the main keywords in the Meta Tags of your website: There will be an increased relevancy between your keywords and the landing pages by including main keywords with your meta tags. This results in higher quality scores for your campaigns. How to improve Keyword quality score in Google Ads? • Relevancy of the keyword to its Ad group: First you need to understand what factors are affecting your quality score of the keywords. These factors are not equally created, however it’s conjointly not clear on what proportion of your score every issue is. This is why it is important for you to know all the factors. • CTR(Click Through Rate): You can improve your score by designing your ad groups into more targeted campaign. When you start your campaign use many different ad groups with the relevant keywords. • Each cluster of ads should have its own set of relevant keyword: This is the only way to target groups that you are interested in and the keywords must be logical and match what ad groups are looking for. In this way you can improve your quality score by targeting respective ad groups with specific keywords. • Quality of your landing page: It is important that your landing page should be in a good condition. If it is not easy to use and is confusing to your visitors, then your quality score are going to be lower. You should also use the relevant keywords in your landing page. • Relevancy of text in your ad: The words that are well written will draw customers in. Without good quality ads, you will not get the results you would like. A high-quality ad can specialize in one product or service so you’ll extremely attract the sort of crowd that you just wish. Ads that are neat and tidy can have a lot of an effect. You will be able to increase your quality score by writing AdWords ads that are of higher quality. • Expand text Ads: The feature that permits you to add and run with longer copy or words with 50% more characters can be beneficial to increase your quality score. Here you can use long tail keywords and you will get more space for search terms that are longer than normal. You can boost the relevancy of your ads by using the long tail keywords. What is frequency gap in Google Ads? It limits the number of ads shown in the Google display network in a particular period of time. In this average number of time, unique user sees your ad in position 1 over a given period of time. Keyword planner is one of the free Google Ads tool used by new or experienced advertisers for building new Search network campaigns. Here you can search for keywords and see how a list of keywords will perform. It helps you in choosing the competitive bids and budgets to use with your campaign. What is Ad preview and diagnosis? Ad preview and diagnosis is a Google Ads tool that helps to identify why your ad might not be appearing. This tool also helps in showing a preview of a Google search result page for a specific time. You can make use of this tool to check if your ad extension is showing with an ad for a particular keyword. What is CRO, ROI, KPI, CPC, CPM, CPA, CPV? The process of optimizing sponsored search ads, landing pages, and overall website design to boost your conversion rate. It’s quickly gaining popularity as it’s a way to increase profits from sales without raising your advertising spend. It is the ratio of your net profit to your costs and also shows the real effect your advertising efforts have on your business. It’s the most important measurement for an advertiser as it is based on your specific advertising goals. Key performance indicator is a significant value that determines how effectively a company is achieving key business objectives. It also reveals how successful your ads are. It can be monitored using the free Google Analytics tool. Your actual CPC is the final amount that you are owed for a particular click. Here you will need to pay for each click on your ads. For CPC bidding campaigns, you need to set a maximum cost per click bid or simply “max. CPC”. Max CPC is the maximal amount that you are willing to pay for a click on your ad. It’s a way to bid where you pay per one thousand views on the Google Display network and viewable CPM bidding assures that you only pay when your ads are visible or can be seen. 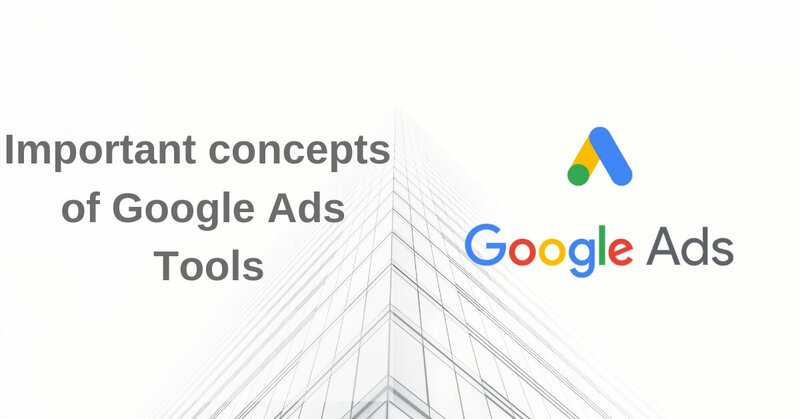 With the help of the CPA bidding, you can control the amount spent in the paid advertising instead of paying Google every time when someone clicks on your Ads. It will allow you to pay for each conversion, for the metric you provide yourself when you set up the campaign. It is an advertising model where advertisers where the publisher is only paid when the user goes to the blog, website, video etc. 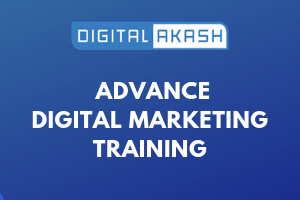 It is same as the PPC where more than one marketer will put the bid for the particular keywords or the combination and the highest bid will dictate which ad will be displayed for the user.